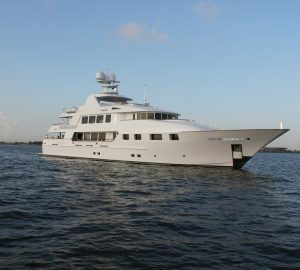 Located on the Gulf Coast of the United States, Trinity Yachts have earned their place as one of the world’s elite builders of custom superyachts. Trinity yachts are constructed with an emphasis on quality, aluminium and steel construction. Clients can expect truly custom yachts that fulfil unique cruising desires. Working with a number of world-renowned naval architects as well as interior designers, Trinity are able to build acclaimed vessels for yacht enthusiasts around the world. The 50m superyacht Mine Games and 73m New Horizon are just two vessels which have won awards for construction, design and power. 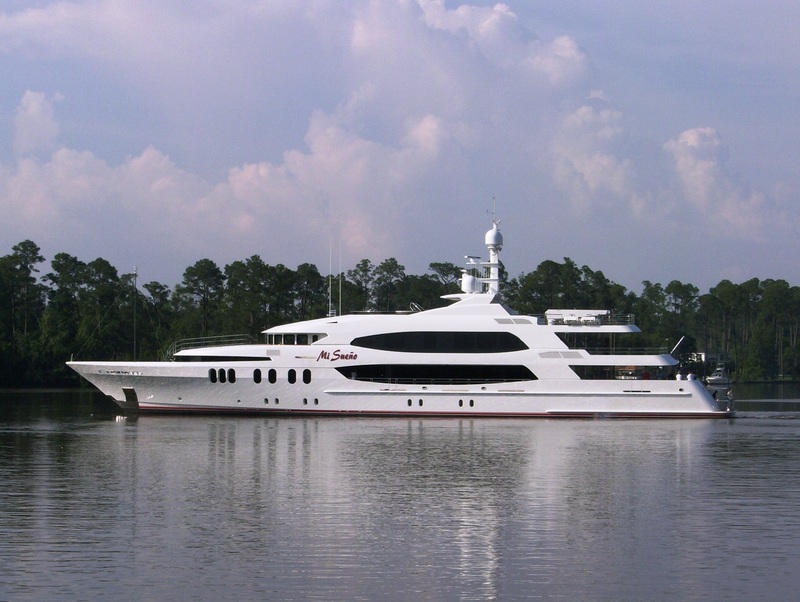 Trinity Yachts is centrally located on the Gulf Coast of The United States from where the ship yard produces their fine luxury superyachts. Trinity Yachts has earned its place as one of the world's elite builders of custom superyachts. The company has an emphasis on European quality using both steel and aluminum constructions. Trinity creates truly custom yachts of any design and in any size up to 400 feet (123 meters). Their shipbuilding facility is situated in a 38 acres of waterfront property as well as a 284,000 square feet of under roof area. Trinity is able to design, engineer, construct and deliver truly individualized custom yachts to specific customer preferences. Trinity set out on a mission: “To design, engineer and build a new series of motoryachts to lead all others into the next millennium.” So far they have achieved this and more with a large list of successful yachts that so far make up their fleet. 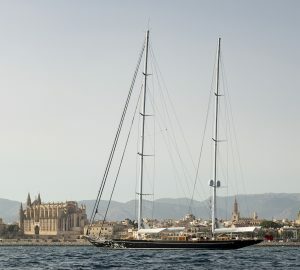 Yachts built by the Trinity yard include: Destination FOXHARB'R Too, ANJILIS, UNBRIDLED, BIG CITY, NORWEGIAN QUEEN II, MINE GAMES, MARY P, WHEELS, CARPE DIEM, LADY MICHELLE, LOHENGRIN, MERIDIAN, LADY LINDA, GOGA, ZOOM ZOOM ZOOM, MUSTIQUE, JANIE, WHITE STAR, POSITIVE CARRY, VITA, CHEVY TOY, IRIS, ULYSSES, BIG EASY,RELENTLESS ,KATHARINE, WHALE SONG, UTOPIA III, TIME FOR US, NOVA SPIRIT, PANGAEA, THEMIS, MARSHA KAY, MALOEKOE, MARLENA, MAGIC, CETACEA, WATER COLOURS, BIG ZIP, BLIND DATE, LADY LINDA, NEW HORIZON. With their top-quality interior and exterior finishes, ultra-fast and ultra-quiet vessels, Trinity yachts are perfect for chartering. State-of-the-art engineering techniques and high-end specs are what you can expect when chartering a Trinity superyacht. Spacious interiors, speed, seaworthiness and powerful performance characterise these fine yachts. There are more than 50 yachts for charter, all luxurious and unique in their own right offering fantastic value for money for a vacation of a lifetime. Trinity yachts are equipped with ultra-modern displacement systems which reduces the roll motion effect resulting in a much smoother, enjoyable cruising experience. Bow thrusters also make the vessels more manoeuvrable at low speeds, perfect for anchoring off secluded bays, coves and beaches. 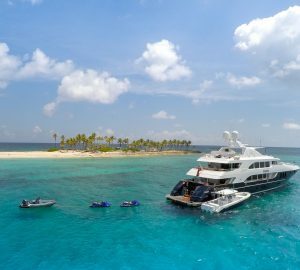 Sail to some of the world’s most exotic destinations when chartering a Trinity superyacht such as the Caribbean, the Bahamas, Pacific North West, New England and the Med. Enjoy the highest levels of comfort, indulge in delicious cuisine and engage in a wide range of exciting activities. Onboard accommodation is unrivalled for all guests in prestigious suites where attention to detail is second to none. You can find a selection of Trinity yachts for charter below as well as the latest news from this prestigious shipyard. Contact us here should you require further information.